Often thought of as the last active refuge of the native ancient Egyptian religion, the island temple complex of Philae (or Pilak, meaning ‘the end’ or ‘boundary’) was originally located near the massive First Cataract of the Nile in Upper Egypt. Probably comprising two islands, the conglomerate site of Philae (1,500 by 490 ft) was mythically related to the burial place of god Osiris – thus making it an important pilgrimage center for both Egyptians and the Nubians. 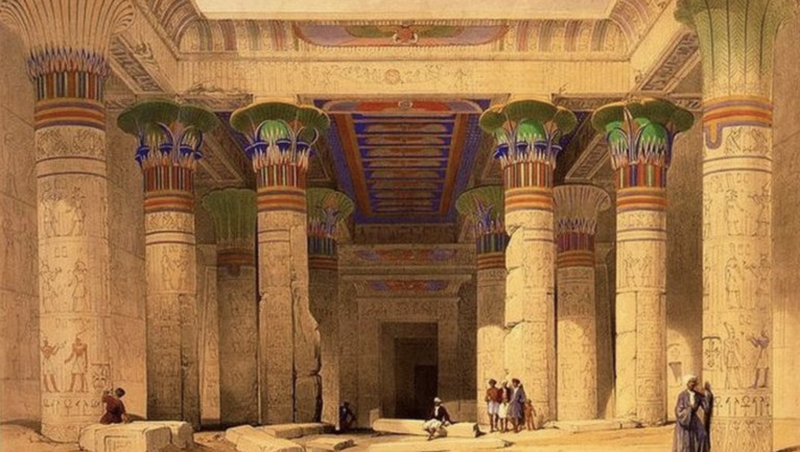 Building upon this ambit of reverence, the later Egyptians, Greeks (Ptolemaic dynasty) and even Romans furnished their fair share of architectural features – which collectively translated to the magnificent ancient Egyptian island temple complex of Philae. Here the animation. And here more about Philae, on Realm of History.